This article describes the intent and common uses for the "Send To" campaigns feature, which sends an immediate email notification and campaign details view link to other team members. Despite the myriad of automated notification options provided within DivvyHQ, sometimes you just need to put a campaign in front of another team member immediately. Our "Send To" campaign feature gives you that option by sending a quick email to a designated team member(s) along with a note (optional) and a direct link to your content item. Note: When using the Send To campaign feature, we understand messages shouldn't be readable by everyone. 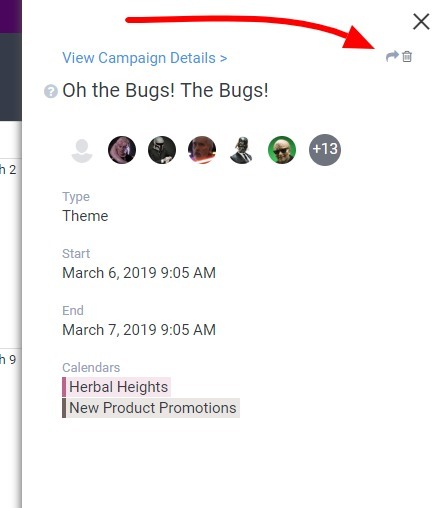 With that in mind, the related Send To message that is tracked via the Recent Activity feed on the Dashboard is only visible to the user(s) the message and campaign were sent to. Let's say you've just compiled all the content dedicated to a soon to launch campaign and you want your boss to do a quick review. From the Campaign Slide-in, click the "Send To" icon located in the upper right. 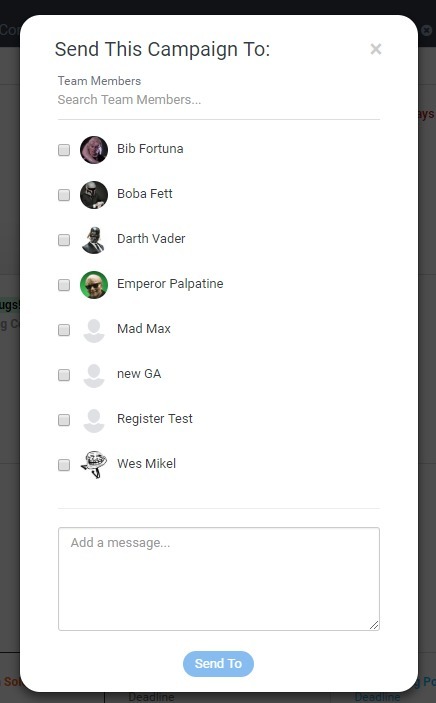 Clicking the Send-To button will trigger an overlay that allows you to select the team member(s) to which you wish to send the campaign. You can also type in a quick note that will be included in the email notification. When satisfied, click the green Send button. We hope this unique feature provides some added efficiency, especially when you're getting ready to launch a new campaign with a fast-approaching deadline.